SleepScore Labs has launched a new no-contact sleep tracker mobile app, which it claims can monitor the quality of users’ slumber using only sound waves. The standalone nature of the app makes it different from more traditional sleep trackers on the market, as most have to be worn about the wrist or head. While these gadgets rely on moving with the sleeper to track any interesting patterns, the SleepScore app endeavors to detect these same things without being as “obtrusive” as a wearable device. Image provided courtesy of SleepScore Labs. According to a press release, the app collects this sleep data by transmitting inaudible sound waves via the smartphone’s speakers, which then refract off the user’s body as they toss and turn in the night. In the morning, this information is processed and presented to the sleeper in an easy-to-understand metric. To figure out whether or not a smartphone by itself could actually work as a sleep tracker, I chatted with Jason Hong, Associate Professor of Computer Science at Carnegie Mellon University. He, along with five other researchers, investigated this same question in a 2014 study in which they developed a no-contact app of their own (Toss ‘N’ Turn, or TNT). When powered up, the application used the phone’s light sensor and microphone to capture data for use in inferring sleep quality. What Hong and his team discovered was that the app was able to gauge this sleep quality with an average accuracy of 83.97%, which proved to be statistically significant. That being said, Hong also acknowledged that sleep data from a tracker such as this should function as just one piece of the overall approach to improving sleep hygiene. 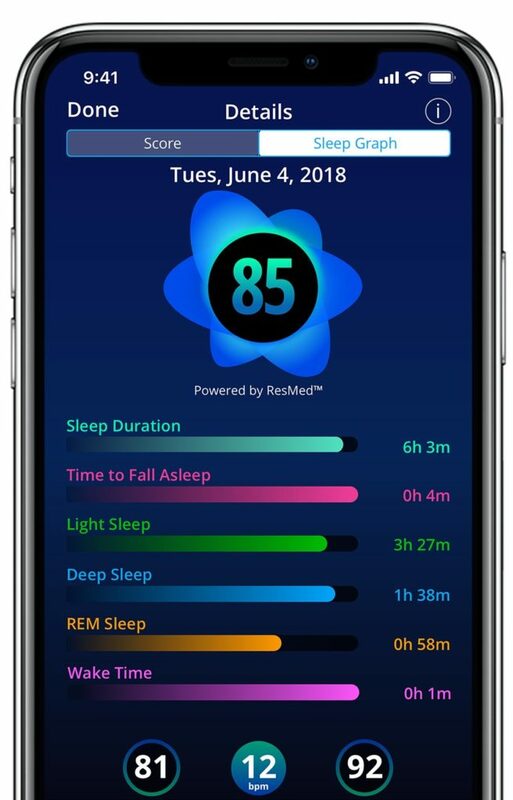 The SleepScore app is currently free to download and use for iOS from the Apple Store, with Android expected to follow by the end of June.